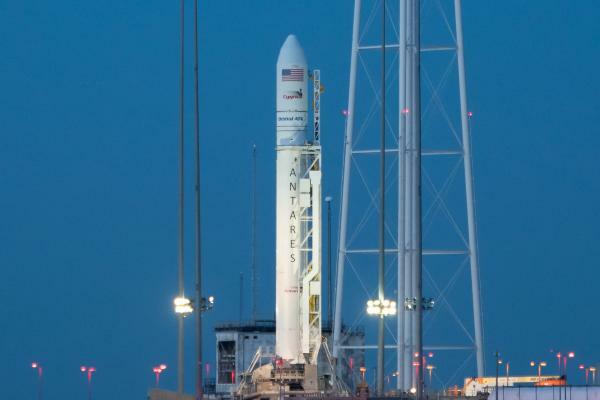 Nov. 11 (UPI) — Orbital OTK rescheduled Saturday’s Antares rocket launch after another aircraft flew into restricted airspace near NASA’s Wallops Flight Facility in Virginia. The rocket was expected to carry the Cygnus aircraft into orbit and deliver 7,400 pounds of supplies, equipment and science experiments to the International Space Station. Within 2 minutes of the scheduled launch time of 7:37 a.m., Orbital OTK scrapped the launch saying a “small aircraft” was flying at about 500 feet some 6 miles offshore. Orbital OTK rescheduled the launch for 7:14 a.m. Sunday. Should skies remain clear, it was predicted the rocket launched would be seen from as far north as Boston to as far south as South Carolina. Among the thousands of pounds of supplies are several science experiments, including an experiment designed to measure antibiotic resistance in microgravity. A number of other experiments will explore the science of plant and crop growth in space. Several experimental CubeSats are also packed inside the Cygnus spacecraft. One of the box-shaped satellites will test a laser-based communications systems designed for small spacecrafts. Another mini satellite will test a hybrid solar power panel and communication solar antenna. Sunday’s launch will be Orbital ATK’s fourth ISS resupply mission. The company has yet to secure a private client for its launch services. Brooks Hays contributed to this report.